143 Commodore Drive Jupiter, Fl 33477 has been sold. 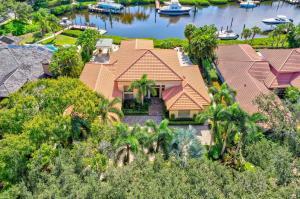 EXCEPTIONAL NAVIGABLE WATERFRONT HOME ON POPULAR STREET IN THE PREMIER ADMIRALS COVE COMMUNITY. UPDATED AND WELL MAINTAINED. IDEAL LOCATION NEAR CLUB FACILITIES. SPECTACULAR INFINITY EDGED POOL AND SPA, SUMMER KITCHEN, FIRE PIT, AND STONE HARDSCAPING W/ EXPANSIVE PRIVATE CANAL VIEWS. GREAT FOR ENTERTAINING FAMILY AND FRIENDS. PRICED TO SELL. ADDITIONAL TERMS REQUIRED. CONTACT LA TO DISCUSS. 143 Commodore Drive located in Jupiter, FL is a single family home with 4 bedrooms, 4 full baths and 1 half baths.The Home at 143 Commodore Drive was built in 1988 in Admirals Cove and offers a 2.5 car garage. This Admirals Cove Home offers pool, golf course, boating, tennis, clubhouse, basketball, elevator, exercise room, library, sauna, spa-hot tub, manager on site, putting green. 143 Commodore Drive Jupiter, Fl is currently listed for $2,300,000 under the MLS# RX-10468663. This Home has been put on the Jupiter MLS system and currently has a status of SLD. Admirals Cove in Jupiter is really a wonderful community in a great city. If you like the beautiful Jupiter location but you are not sure about this community. You might like one of the other local communities like Clocktower Hammock or Maple Isle or Moorings or Bluffs Marina or Pennock Pointe Estates that are located here.